50 Activities for the First Day of School – A Book Review | So, You Think You Can Teach ESL? 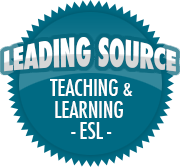 ← 6 ESL Windows of Opportunities You Shouldn’t Miss! Hello everyone! I hope you’re all having a great week! I’m coming off of a busy few weeks at work, so I apologize for the lack of posts recently. A few days ago I was contacted by a teacher named Walton Burns, asking if I could review his book, 50 Activities for the First Day of School. I said, “yes”, of course. I think it’s great to share ideas and work other teachers have done. As you would expect, this book is full of ideas for getting to know your students, as well as for students to get to know each other. Nobody likes the first day of school – students or teachers. There’s so much to do such as going through classroom procedures and expectations, learning names, meetings that never seem to end,- and my personal favorite – parents who love to peek into the classroom. Well, Walton’s own words say it best and set a relatable tone for the book. As teachers, we need to be prepared for so many things come the first day: tardy or absent students, students who try to take control from the get-go, students who cry because they miss their moms or are overwhelmed, parents and administrators asking all kinds of questions at the end of the day, and not knowing the names of new students. Burns’s book gives tons excellent (and fun) ideas to loosen things up and make everybody feel comfortable. Maybe you’ve used some of these in the past, and maybe some are brand new! The Name Chain is pretty straight forward. The students say their names in succession, and say the previous student’s name as well (can also be called the Memory Game). Toss-a-ball gives students chances the chance to have a little fun while learning each others’ names. The person with the ball has to say their name, and then toss it to the next person. Each person should get the chance to say their name once. Same and Different puts students into pairs or small groups, and each student asks their partners questions until they find two similarities and two differences between them. Who Wrote That? is a fun game that has students write something on a slip of paper, and then after the teacher mixes all the slips up, everybody guess who wrote each sentence. Two Truths and a Lie has always been a personal favorite of mine. It’s really fun to see how well you know somebody. For this game, everybody writes down two truths and one lie about them, everyone else guesses which one is the lie. Simon Says is a classic game that’s especially fun for young learners! It’s a simple “follow-the-leader” game that you can make more difficult for the older grades. Last but not least, Never Have I Ever can be a hilarious game for students of all ages. While it’s commonly played as a drinking game (which can be fun for teachers on their nights out), it’s open to anything. These and many other activities can be found inside the book. I highly recommend first-year teachers buy it as it can greatly help them feel at-ease when getting accustomed to the classroom. Seasoned teachers should read it, too, as many of the ideas can give way to other strategies which may be helpful or more appropriate for their classroom. 50 Activities for the First Day of School, by Walton Burns can be found in both paperback and ePub versions. It’s published through Alphabet Publishing, and can be purchased via their website here. Just to let you know, we have a promo deal going for my birthday. Sign up to our mailing list and get a coupon code for 25% off the book, when you buy it direct from our site. The newsletter is a great collection of free resources for building community and rapport in the classroom!